A year ago, SPAR Austria announced its intention to reduce the amount of sugar in its own brand products. This goal was to be achieved through sugar reduction and the promotion of sugar-free products and sugar alternatives. 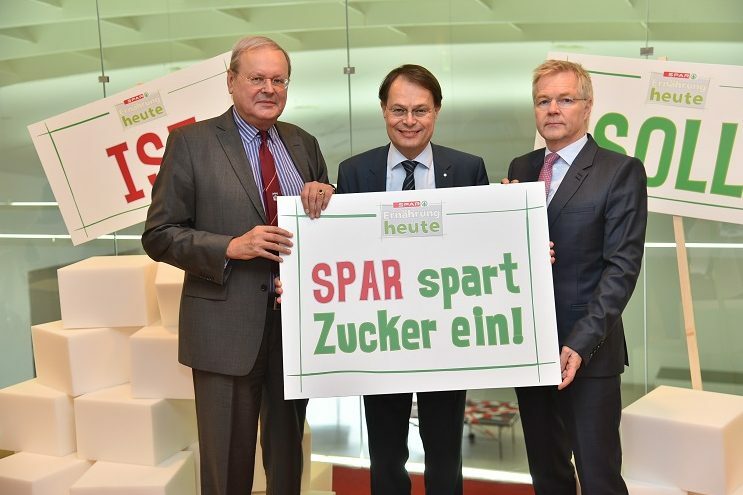 A year on, this move by SPAR Austria has resulted in the reduction of sugar in more than 50 SPAR Own Brand products. SPAR Austria has analysed the recipes of its own brand products, such as soft drinks, cereals, ice cream, fruit preserves, fruit bars and yoghurts, and work is now being carried out to reduce sugar in an additional 300 products. Over the next few years, the SPAR Partner aims to remove at least 1,000 tonnes of sugar from its own brands. SPAR Austria has tried to keep its product sugar levels in line with the WHO’s dietary recommendations. For example, SPAR Natur *pur yogurt contains only 12g of sugar per 100g and the SPAR Vital whole grain cereals only contain 0.8g sugar per 100g. Fewer sweet products, less sugar, less harm and more good. SPAR Austria’s goal in 2018 is to consistently reduce sugar in its own brand products and provide its customers with more healthy food options. “It is important to us that our shoppers’ understanding of sugar is sharpened and that they have the possibility to choose healthier products. For this reason, we have chosen to reduce sugar instead of replacing it with sugar substitutes because the best way for a healthier diet, is the general reduction of sugar,” said Drexel. The origins of SPAR in Austria date back to 1954 when the first SPAR organisation was established, after being granted the licence to operate the SPAR Brand by SPAR International. The current SPAR AG was created in 1970 when the original founding families joined with other regional wholesalers to form SPAR Austria AG – a 100% privately owned Austrian company.